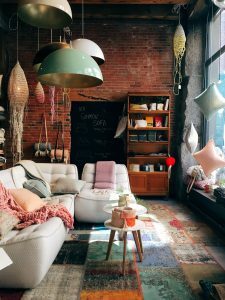 eBay ‘Collection Only’, particularly furniture or bulky items, are often listed considerably cheaper with no option of delivery which limits the market for the item to only those within walking or driving distance. Once you find the perfect item, you don’t want to have to enlist a specialist furniture delivery service or courier service provider to pick up your eBay furniture – it’d make your bargain quickly quite pricey! Instead, your eBay delivery can be taken on by a ‘Man with a Van’ who could include eBay item collection. Using MoveSavers you may even find a courier quote from an expert furniture removal company to pick up and safely deliver your eBay chest of drawers or sofa! MoveSavers works differently from standard courier and delivery service comparison sites in that it encourages delivery experts and transporters to instead bid for your job; competing with other businesses in the same sector to win your custom. As the delivery companies involved are taking on your eBay delivery as a way to use their spare capacity rather than going out of their way to make a delivery, they can offer prices up to 90% cheaper than usual because they have nothing to lose. So, if I use MoveSavers, who will deliver my furniture? MoveSavers has a network of couriers and delivery experts. Once you’ve input your job onto the system, they will bid against each other to you for your custom. This may mean you get quotes from all kinds of delivery specialists; from furniture removal businesses, to ‘Man with a Van’ operations, to ca transporters. All you need to know is, all delivery service providers have been fully vetted and verified by MoveSavers (we use only the best, most trusted providers) and all are experts in their field. You choose who you’d like to collect and deliver your eBay item/s, and there’s no obligation – you have time to message and get to know the company before you commit. How are the quotes I’m receiving through MoveSavers so much cheaper than other eBay collection and delivery services? Standard eBay collection and delivery services are just delivery companies taking on a new job – as they are for any courier quote online. MoveSavers, however, focuses on delivery experts and couriers utilising their spare capacity to cut back on wasted potential and carbon emissions. This means it’s likely they’ll fit in your collection and delivery on the way to or from another job, but it’ll have no impact at all on the service you receive. It’s really easy to get started and compare delivery companies to collect and deliver your eBay furniture purchase. Visit the MoveSavers Marketplace to list your job now! Previous Previous post: The ultimate trick to low cost, cheaper and quicker house removal.